Security is important. Obviously. Read about what we're doing to keep your data protected and your projects stable and safe. Prismic content is distributed through an API that can be configured as private. In private mode, the API requires the client application to authenticate itself to query, retrieve and display any content stored in a Prismic repository. Each data-consuming client application may use a distinct set of authentication credentials. User management is strictly isolated from one Prismic repository to another. Isolation allows for granular control over permissions across Prismic repositories delivering content to client applications. More information on user roles here. Prismic keeps track of content version history and provides restoring capability to previously published versions. Additionally, any new publication creates a new identifiable version of the API. More about the API here. Prismic integrates with most Enterprise identity federation and Single-Sign-On standards or services (AD, SAML 2.0, Okta) through the OAuth standard. This integration with SSO allows you to implement and enforce an existing centralized Access Management Policy such as password enforcement rules, multi-factor authentication, etc. Specifications and support for integrating your Enterprise SSO are available upon request for Enterprise clients. Development teams typically need separate environments for safely iterating on the content model. The ability to clone a Prismic repository into a development or staging environment is available on the Platinum and Enterprise tiers. 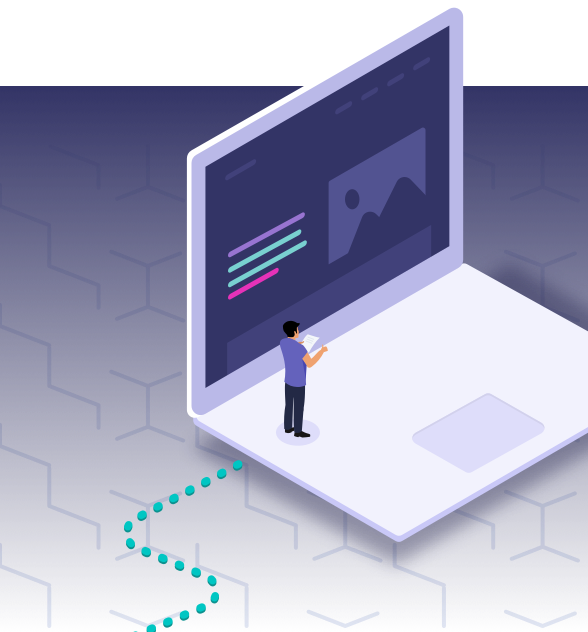 Beyond being convenient for development workflows, this feature eliminates the risk of impacting the client's production website when the development team is making changes to the content model. More about Environments here. Prismic services and data are hosted in Amazon Web Services (AWS) facilities us-east-1 located in Virginia, USA. AWS facilities comply to the following security and data privacy standards: ISO/IEC 27001:2013, ISO/IEC 27017, ISO/IEC 27018, PCI-DSS Level 1, CSA STAR Level 1,2&3, SOC 1, SOC 2, SOC 3. Prismic shares with its employees a set of security policies and guidelines, covering a range of topics, among which : strong password policy, physical security policies, best practices in cybersecurity, privacy and confidentiality rules and policy. Security is enforced throughout the whole release cycle. Quality assurance processes for each release involve code peer-reviews and verifying a list of security checks and/or tests to be successfully passed. Extensive non-regression testing is done and subject to approval before releasing into production. Prismic maintains a list of its services and software suppliers. Prismic performs a risk-analysis on third-party suppliers, reviews their security posture and security tracks, and ensures they follow mandatory compliance laws and certifications (such as PCI compliance for payment providers, SOC2, ISO 27001 for business-critical services). Prismic is running on AWS infrastructure (EC2, S3, Lambda and Cloudfront). Learn more about AWS security. Prismic has tooling and processes in place for monitoring account activity related to actions across the infrastructure. Prismic uses AWS' Network Security Groups rules. Additionally, Prismic reviews and adapts these rules at least once a year. A virtual firewall between tenants, as well as an environment protection by firewall is provided by the AWS / EC2 services. Prismic continuously performs vulnerability scanning using industry standards and tools. Prismic performs periodic internal evaluation of its peripheral and in-depth services. Audits are performed by external and independent contractors specializing in web application cybersecurity. Penetration tests are performed on a yearly basis. A remediation plan is scheduled according to the criticality of the issues found, including additional tests for the resolved vulnerabilities. System and Network availability, performance and capacity are routinely monitored to ensure that potential issues are detected, reported, logged, and resolved in a timely manner. Prismic infrastructure is running on Amazon Web Services (AWS). "AWS is continuously innovating the design and systems of their data centers to protect them from man-made and natural risks by implementing controls, build automated systems, and undergo third-party audits to confirm security and compliance. AWS provides multiple Availability Zones that are separate, yet interconnected data centers within the major regions." AWS is responsible for providing a secured data center facility with environmental control systems. AWS is responsible for providing space, power, cooling, and physical security for the servers, data storage, and networking equipment as part of their service offering. AWS provides Prismic connectivity to a variety of telecommunications and network service providers. AWS also provides Prismic with environmental control systems including fire suppression systems, cooling systems, uninterruptible power supply (UPS) systems, and generators. General availability of the API and Writing Room uptime monitoring is available here using a third-party Performance and Availability Monitoring service. Any exchange between the User’s web browser and the server is upgraded to TLS 1.2 encryption (https), if TLS 1.2 is not supported, 1.1 is used instead. Data transferred between Prismic AWS EC2 instances and S3 storage facilities is secured via SSL endpoints using the HTTPS protocol. Customers are free to comply to additional backup requirements beyond what Prismic provides by using the Export module or by querying their Repository API endpoint. Prismic ensures backups through snapshots and retains them on a pre-established rule set in Amazon S3 buckets (Amazon's highly available cloud storage). Backups are used to restore a customer’s content Repository in the case of multiple disk failures or total data center loss. Amazon S3 repositories are distributed amongst multiple Availability Zones (data centers) and multiple devices within each Availability Zone for redundancy. From here, Prismic is able to perform granular level recovery. Prismic implements and maintains appropriate incident response measures and procedures for systems that handle or hold Customer Data, including, but not limited to: Operational problems and all security incidents being detected, reported, logged, and resolved in a timely manner. Prismic’s Incident Response Plan incorporates tenant specific information security contacts for each Enterprise customer, and incident response procedure best-practices from international standards or regulations which meets a wide range of customer requirements. Prismic fulfils its obligations and maintains transparency about how it processes personal data. Prismic is in the process of making the DPA available online, in the meantime, you can sign a DPA with us by reaching out to dataprivacy@prismic.io. Prismic customers can export all content created by users in the Prismic interface. This data set export includes the content itself (images, texts, link, etc. input by users) as well as metadata generated by the application such as first publication and last updated dates. This data set can be exported through the tenant API endpoint. Personal data processed by the Prismic application is limited to the name and email of business users that have access to a Prismic repository. More personal data can be processed by Intercom (learn more about Intercom’s Security Posture) which Prismic uses for Sales, Marketing and Support operations. Users can reach out to dataprivacy@prismic.io to request an export of their personal data. Prismic users are required to transfer ownership or to permanently delete the content repositories they own before their user account can be permanently deleted. For further assistance, users can reach out to dataprivacy@prismic.io. Prismic’s DPA and Master Service Agreements enforce that any data privacy breach would prompt a communication toward its customers in a timely manner. Prismic Data security policy complies with EU data privacy laws (GDPR). Prismic’s security team is responsible for ensuring that controls are designed and are operating effectively. This consists of auditing our processes to ensure they operate according to management's intentions. Prismic's Security Officer ensures, in coordination with its legal counsel, a watch on legal issues and regulations for any emerging regulatory requirements to better anticipate and align with new legal requirements. Prismic employees complete a Security and Awareness training on an annual basis. Anything else you'd like to know – about security or else?